Pasabagi is situated between the Goreme and Avanos road. 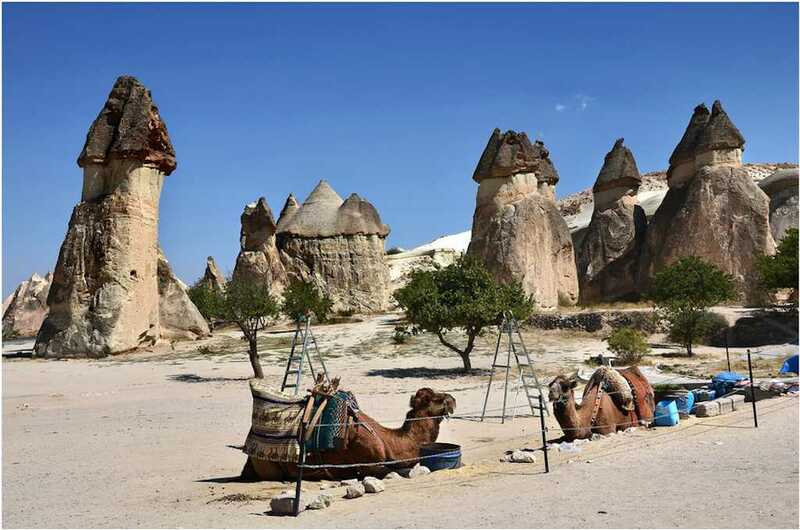 This breath-taking valley is famous for its having wonderful lanscape and the best various collection of fairy chimneys in Cappadocia. 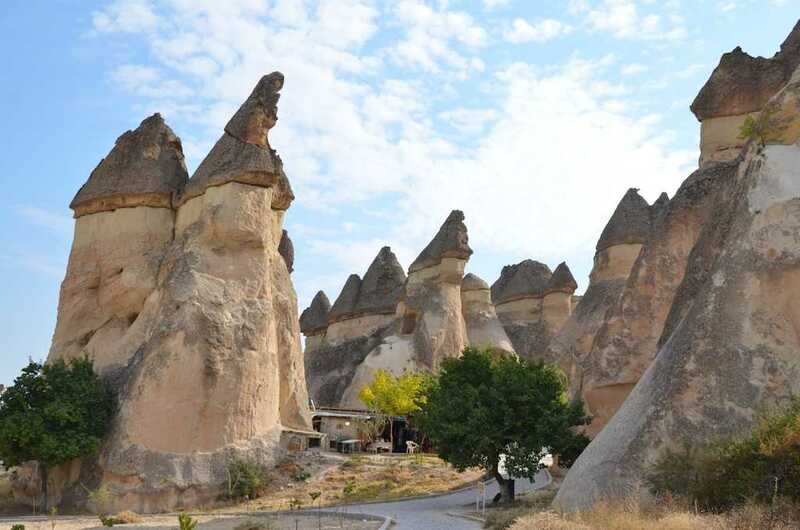 With this aspect, it reminds of the people's mind that the fascinating place looks like the museum of fairy chimneys. 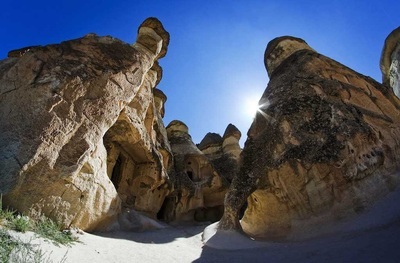 Also its extraordinary scene creates a metaphysical world by relaxing the spirit of visitors. At the beginning, Pasabagi Valley was named as ''Monks Valley''. This name come from a mystic story about a monk; according to a rumours, in 4 th century, there was a monk named St. Simeon who was well known by locals with his peforming many miracles. 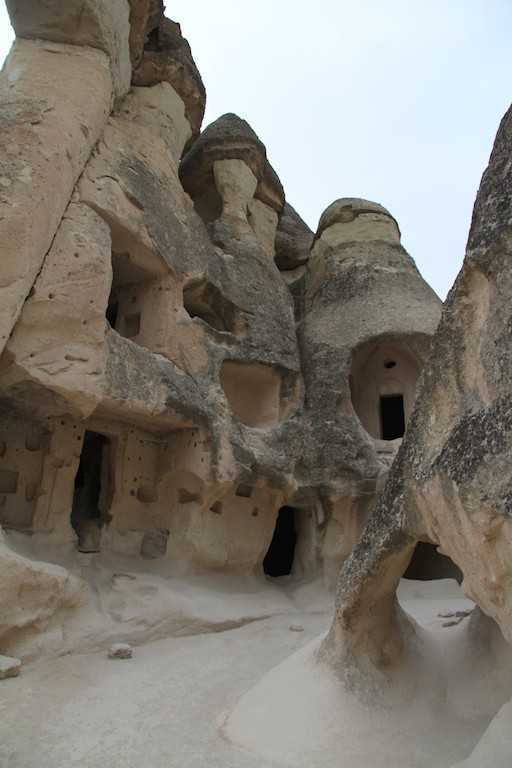 Every day, the numerous people visited him to see his magics which this situation eventually disturbed the monk. Therefore, he escaped to today's Pasabagi Valley in order to retire and live a spirital life style as a hermit in the cell located on this glorious valley. he started to live at the top of a 2m high column, and later moved to one 15 m in height. From there he only went down sometimes to get food and drink brought by his apostles. 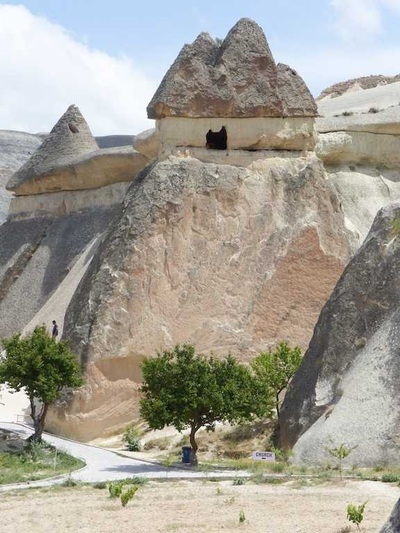 Afterwards, those peasants built St. Siemon Chapel by carving in fairy chimney with three heads for the sake of him to reflect their respect. Additionally, they established other chapels, churches furnished with antithetical crosses and sitting areas within those unique fairy chimneys on this dreamy valley. These structures consists of an oven, living and sleeping places and small fascinating windows to let the sunlight in. 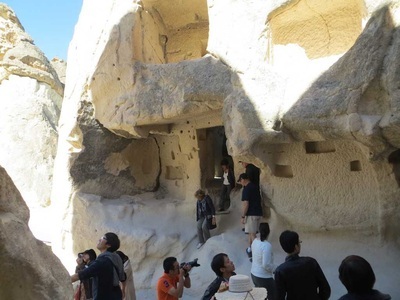 In the time of Turkish War of Independence, the marvellous valley, natural wonder included vineyard belonging to a Pasha (meaning a military rank in Turkish). Thus its name is derived from that general. Therefore it is also popularly known as Pasabagi Valley today. At present, providing a peace, quietness, comfort and amusement, the valley grabs the visitors its natural beauty which causes the people to begin an inner journey.